The stolen car has been reported as a tan 2008 Ford Taurus X with Oregon license plate 141HXP. Gresham Police officers are asking for help in locating a vehicle that was stolen during a home invasion robbery two weeks ago. Around 5:30 p.m. Saturday, Jan. 20, a man entered the victim's unlocked home near the corner of Northwest Wallula Avenue and Northwest Fourth Street. He told the homeowners he had a gun while searching through a purse. He stole the victim's car keys and fled in her car. The man is described as a white male with a dark complexation, in his late 20s to early 30s, 5-foot-11 with a muscular build. He has short dark hair, is clean shaven and has a mole on his cheek. 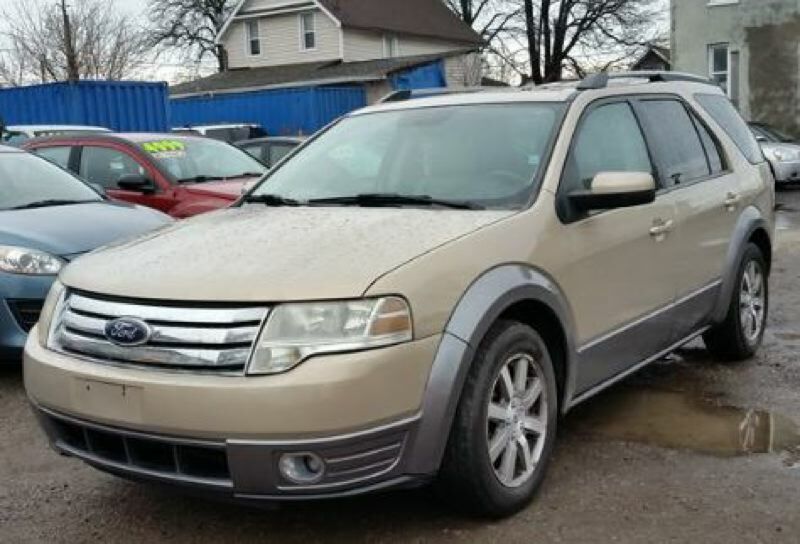 The stolen car is a tan 2008 Ford Taurus X with Oregon license plate 141HXP. Anyone with information is asked to call the Gresham Police at 503-618-2719. If you see the vehicle, call 911.